Or 6 payments of $163.33 What's this? 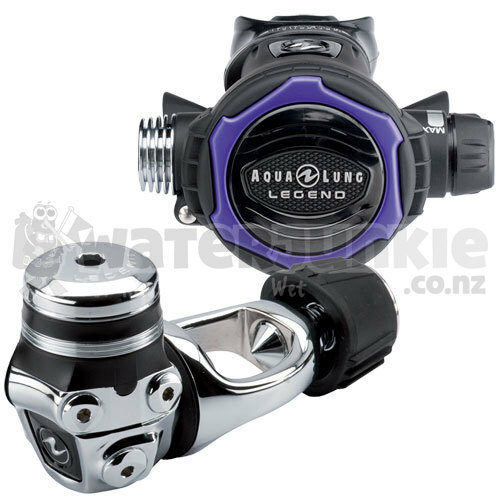 A top-of–the line, fully adjustable regulator that joins the existing Legend LX. The Twilight Legend LX includes a smaller Comfo-Bite™ mouthpiece and a lighter second stage to reduce jaw fatigue designed specifically with women in mind. The Legend LX Twilight also features the revolutionary Master Breathing System (MBS) for simple breathing comfort control, and its own regulator bag for safe and stylish storage. Comes with stylish, matching regulator bag.